According to the National Spinal Cord Injury Statistical Center, there are about 17,500 new spinal cord injuries each year in the United States. The majority of these cases (38.4%) are caused by road accidents including car crashes, truck collisions, motorcycle accidents, bicycle crashes and pedestrian accidents. The next major cause of spinal cord injuries is slip and fall incidents (30.5%). Violent attacks are responsible for about 13.5% of the injuries, while sports cause 8.9%. Another 4.7% of spinal cord injuries have medical or surgical causes and the remaining 4.0% are unclassified. It is our belief that educated clients make better choices regarding their case and medical recovery. To help those who are struggling with a spinal injury, we have provided some helpful information about spinal cord injuries. This is the first of two spinal injury articles. Below we discuss the anatomy of the spinal cord, types of spinal injuries and typical spinal cord injury symptoms. The second article details the diagnosis of spinal cord injuries, spinal cord injury treatment and medical recovery. If you or a loved one have been a victim of spinal cord injury, it is important that you know that you are not alone. Our Kansas City spinal cord injury law firm has represented many victims of accidents who have suffered spinal cord injuries. Our legal team is prepared to answer any legal questions you may have and can provide you a free, confidential legal consultation today. Please do not hesitate to contact us. Our hope is that this information helps you make the best decisions possible regarding your medical and legal options. Of course, if you still have questions, please call our law office at (816) 203-0143 or fill out the contact form below, and our Kansas City spinal cord injury attorney would be happy to offer additional guidance. The spinal cord is a complex and critically important part of the body. To understand the symptoms, diagnosis and treatment of a spinal cord injury, it is helpful first to understand the anatomy of the spinal cord itself. Cervical region: The uppermost section of the spine, this region bears the spinal cord connection to the brain. It is a regionof connection between the neck and the back. It comprises eight vertebrae, generally known as C1-C8. Vertebrae are numbered in descending order, and so C1 is the topmost one while C8 is the lowest in the cervical spinal cord region. Thoracic region: This is the mid-section of the spinal cord, and it is made up of twelve thoracic vertebrae, T1-T12. Lumbar region: This is the area of the spinal cord where it starts curving. You can feel your lumbar region when you touch your lower back at the point where it begins to curve inwards. This region consists of five vertebrae, L1-L5. Sacral region: This is a section of the spine that is below the lumbar region and is shaped like a triangle. There are five sacral vertebrae. They bend slightly outward in contrast to the lumbar vertebrae. There is no spinal cord in this region. Instead,it contains nerve roots that leave the spine at the various vertebral regions. Coccygeal region: This is also called the coccyx or tailbone. It comprises a single vertebra at the very bottom of the spine. While there are many types of spinal cord injuries, there are two broad categories: incomplete and complete spinal cord injuries. Incomplete spinal cord injuries occur when the cord is only partially damaged, which permits the injured person to have some function depending on the extent of the damage. Complete spinal cord injuries happen when the spinal cord is totally damaged, and there is complete function loss. However, it may still be possible to regain some function with complete spinal cord injuries in certain cases if treatment and therapies are successful. Partial spinal cord injuries are becoming more and more common, due to better treatment options and expertise in the proper response to a potential spinalcord injury. Most spinal cord injuries are now incomplete or partial, which is good news for victims of spinal cord injuries. Brown-Sequard syndrome (BSS): BSS is a relatively rare neurological condition where an injury to the spinal cord results in weakness or paralysis on one side of the body and a loss of sensation on the opposite side. Central cord syndrome: This is an injury to the central part of the spinal cord, which contains nerves that transmit signals from the brain to the cord. This normally causes a loss of fine motor skills in the hands and paralysis in the arms. Function loss is often less prominent in the legs. Some victims can lose their bowel/bladder control and sexual function. Anterior cord syndrome: This is a spinal cord injury to the front part of the spinal cord, which impairs the motor and sensory nerves in the spinal cord. This can result in a loss of sensation and movement. Paraplegia: Paraplegia results in the loss of sensation and mobility in the legs and lower half of the body. Paraplegia is caused by damage to the thoracic region of the spinal cord. Paraplegic injuries increase in severity as they occur in the vertebrae further to the top. Quadriplegia: Quadriplegia is a spinal cord injury that occurs from damage to the cervical spinal cord. In general, this is the most severe type of spinal cord injury because it results in paralysis of all limbs. Also referred to as tetraplegia, these spinal cord injuries result in the inability to move below the injured area and may also lead to difficulty with bowel control, breathing and other critical bodily functions. As with injuries to the thoracic region, the severity of the symptoms depends on how high up the cervical region of the spinal cord the injury lies. The higher up the injury, the more severe the symptoms. Triplegia: This type of spinal cord injury results in the loss of mobility and sensation in one arm and both of the legs. It is normally caused by a partial spinal cord injury. Injuries occurring beneath the lumbar region usually do not result in paralytic symptoms or loss of feeling. There are rare occasions where victims of a sacral spinal cord injury suffer temporary or incomplete paralysis. In general, injuries below the lumbar region lead to nerve pain, and they can also reduce the functionality of some body parts. They can also require surgeries. For example, one of our past clients fractured her sacral vertebrae in a car accident. This sacral injury caused an impairment to intestinal and bladder function, sexual function and cause limitations in the hips and legs. 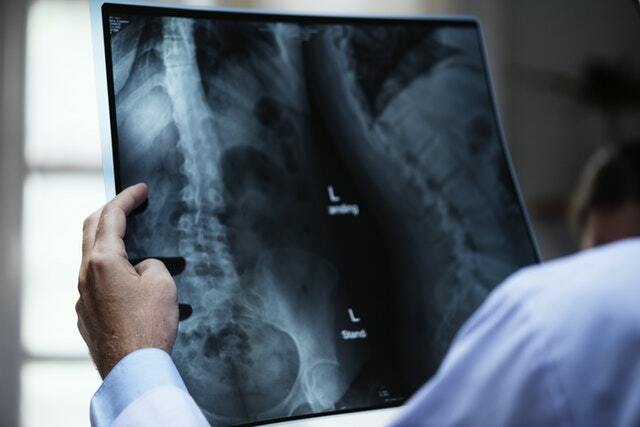 Many surgeries were necessary, and fortunately, our spinal cord injury attorney was able to secure the maximum amount available from two separate insurance companies, which more than paid for her medical bills. Spinal cord injuries are very serious and can be fatal. It is not possible to diagnose spinal cord injury using symptoms alone because each injury is different. While some recover in a matter of months, others may require years of physical therapy and may still make little or even no significant progress. There are many variables in determining the likelihood of recovery, including on the kind of spinal injury at issue, the type of medical attention given, history of past injuries or other medical complications, and the extent to which the victims pursue recovery and several other factors. If you or a loved one has suffered a spinal cord injury, our Kansas City spinal cord injury lawyer can provide assistance by answering any questions you may have and offering legal guidance so you can focus on what’s most important – getting better and being with your family. We have represented many spinal cord injury survivors in the Kansas City area and throughout Missouri and Kansas. Our Kansas City spinal cord injury lawyer and legal team stand ready to answer your legal questions and provide a free, no-obligation legal consultation. Please call our law office at (816) 203-0143 or fill out the contact form below. We would be honored to assist you.